Alberta’s recovery from the recent recession has been slow and, for many, painful. More than four years after oil prices plummeted in late-2014, private-sector employment in the province still hasn’t recovered to pre-recession levels. Although there will always be factors outside the provincial government’s control that influence economic health, pro-growth public policy can help spur robust, sustainable long-term growth. Specifically, reducing tax rates for some of the most economically-harmful components of our tax system can help encourage investment, entrepreneurship, job-creation and wage growth for Albertans. Unfortunately, in this key area of policy, Alberta has gone in the wrong direction in recent years. For example, just a few years ago Alberta had the lowest top combined federal/provincial (state in the U.S.) personal and corporate income tax rates in Canada or the United States. This was an important part of the “Alberta Tax Advantage” that helped attract investment and talent to the province. Since then, much has changed. A combination of provincial tax hikes by the Notley government and federal hikes by the Trudeau government raised Alberta’s top combined marginal personal income tax rate to 48 per cent. Meanwhile, south of the border, sweeping tax reform by the Trump administration pushed rates down. The damage to Alberta’s tax competitiveness has been profound. On personal income taxes, Alberta now has the 10th highest top personal income tax rate in Canada or the U.S. On the corporate side, Alberta’s statutory tax rate is now in the middle of the North American pack. So long to Alberta’s tax advantage. So what would it take to bring Alberta back to, or at least close to, it’s former status as tax rate champion? In short, assuming no assistance from Ottawa, the government in Edmonton must substantially reform and reduce rates. And as noted by our recent study, a single-rate personal income tax and matching corporate income tax rate of six per cent would just about do the trick by bringing Alberta’s combined corporate income tax rate into a tie for the lowest in North America and dropping its top personal income tax rate to within two percentage points of the lowest U.S. states. 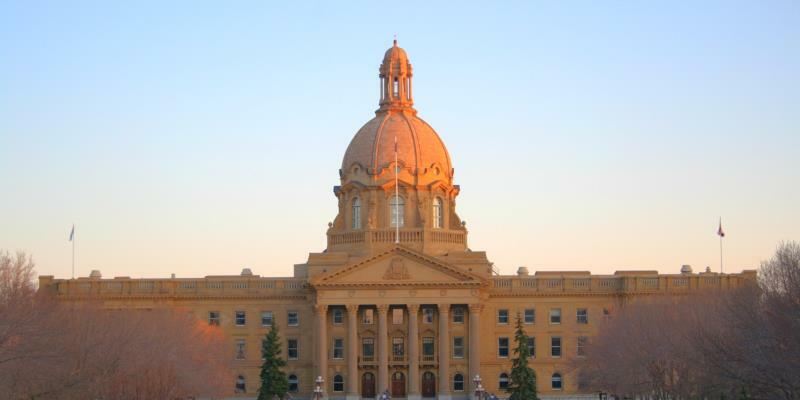 In short, a key element of the Alberta tax advantage would be restored. The answer to the question is a qualified yes—the province can dramatically lower these economically-harmful tax rates without exploding the deficit, but only if it makes other policy changes at the same time. Bringing the personal tax exemption into line with other provinces (while ensuring that low-income families not currently paying income taxes aren’t affected), for example, would by itself create just under 30 per cent of the necessary fiscal room. Eliminating other tax credits and exemptions and reducing business subsidies (i.e. corporate welfare) could also help offset the revenue loss. In short, only a government willing to reform the tax code, eliminate exemptions and cut corporate subsidies—while significantly reducing spending—can restore Alberta’s tax advantage on these key rates without increasing the deficit significantly. If such a government committed to pro-growth tax reform found some of the necessary offsets unpalatable, a somewhat more modest reform, setting the personal and corporate income tax rates at eight per cent, would still be enough to bring Alberta back into the top 10 in Canada and the U.S. in terms of tax rates. The damage to Alberta’s economy has been profound. Restoring Alberta’s tax advantage over most of its peers, a key step towards recovery, won’t be easy. But any provincial government truly committed to kick-starting the economy, attracting investment, helping create renewed opportunity and prosperity while allowing Albertans to keep more of their money, must get serious about tax reform.